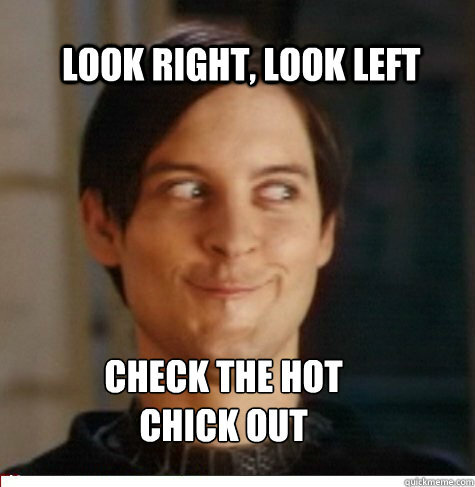 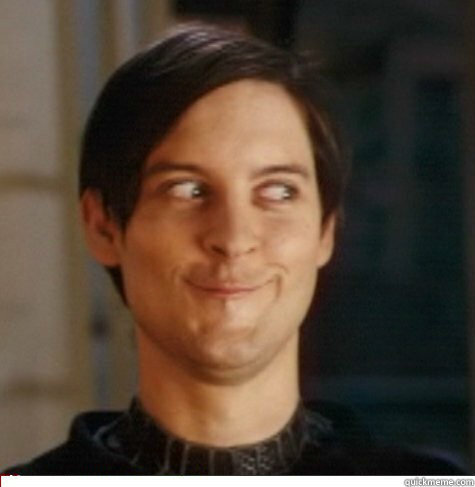 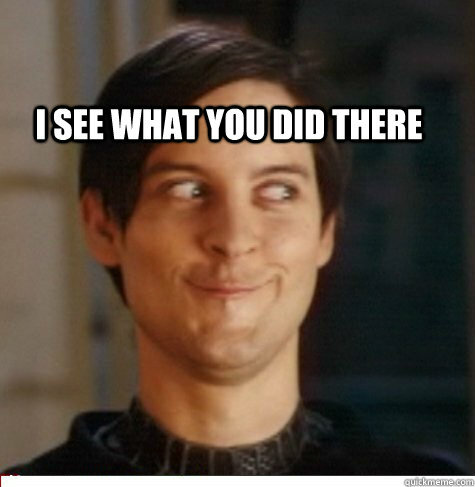 your best friend face when your crush walks next to you. 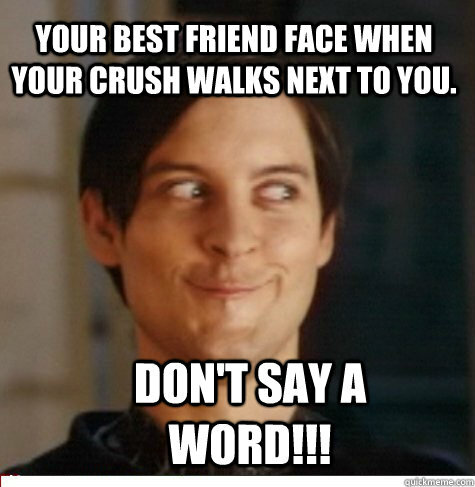 don't say a word!!! 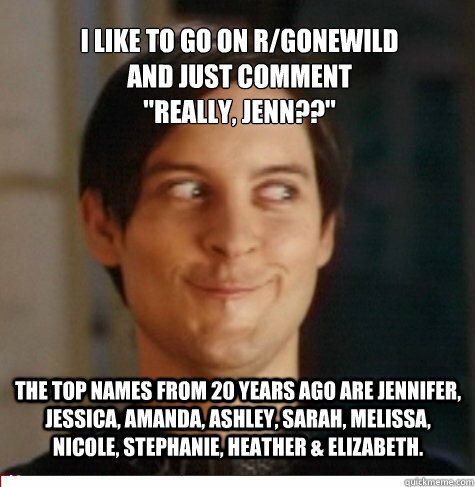 I like to go on r/gonewild and just comment "Really, Jenn??" 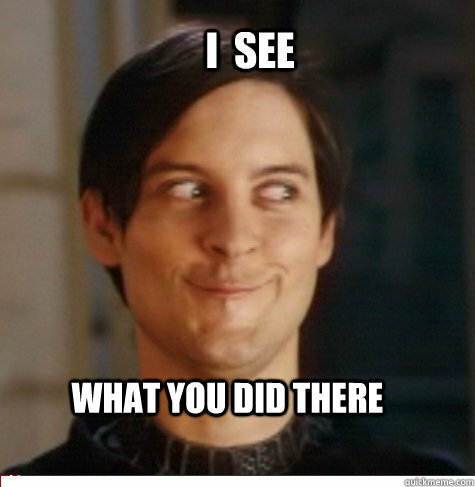 The top names from 20 years ago are Jennifer, Jessica, Amanda, Ashley, Sarah, Melissa, Nicole, Stephanie, Heather & Elizabeth. 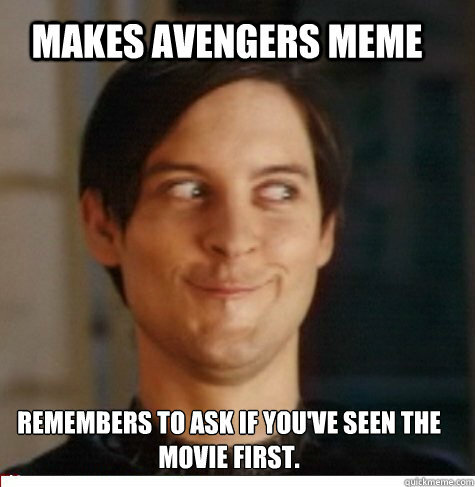 Makes Avengers Meme Remembers to ask if you've seen the movie first.